The Falls Tennis & Athletic Club – A Gym in Lubbock for all your fitness and tennis needs. The Falls Tennis & Athletic Club is more than a gym in Lubbock; our full-service health club provides a fitness experience for every member of the family! In addition to indoor and outdoor tennis courts, members can enjoy our heated pool with food and drink service, group fitness classes, functional training, strength and cardio training, and more. We offer onsite childcare at our Lubbock tennis club, too, and a Pro Shop with refreshments and beverages to fuel every workout. 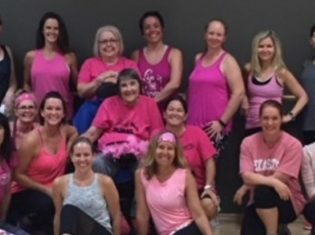 It’s our goal to encourage and support our members as they seek new levels of fitness, and that’s why we offer all types of lessons and classes for every age and stage of fitness. 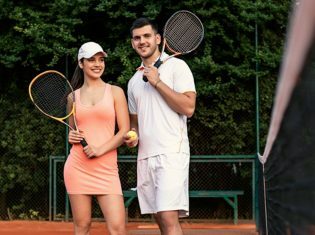 There are tennis lessons and drills for adults and juniors, including Dartfish Video Analysis for improved game play; swimming lessons and water safety classes; and personal training for one-on-one attention. Speaking of fitness, we have cardio and strength training machines that will fire up any workout, with equipment like treadmills, arc trainers, rowers, bikes — and free weights, Free Motion, Techno Gym, Smith machines, and lifting platforms. Functional training offers TRX, battle ropes, kettlebells, and more for a full body workout. Group exercise includes spinning, Zumba, and Les Mills classes like BODYCOMBAT, and BODYPUMP. Need to take it down a notch? Then try a group class like Vinyasa Flow, Yin Yoga, Hot Yoga, or Pilates and Gravity reformers barre in our Mind & Body Studio — or learn the principles and technique of ballet for a graceful yet powerful workout. The Falls provides small group training, Dotfit online nutrition, and more for the ultimate fitness experience. Experience The Falls today — and you’ll see why we’re the best health club in Lubbock! The Falls Tennis & Athletic Club is more than a gym in Lubbock; our full-service health club provides a fitness experience for every member of the family! In addition to indoor and outdoor tennis courts, members can enjoy our heated pool with food and drink service, group fitness classes, functional training, strength and cardio training, and more. We offer onsite childcare at our Lubbock tennis club, too, and a Pro Shop with refreshments and beverages to fuel every workout. It's our goal to encourage and support our members as they seek new levels of fitness, and that's why we offer all types of lessons and classes for every age and stage of fitness. 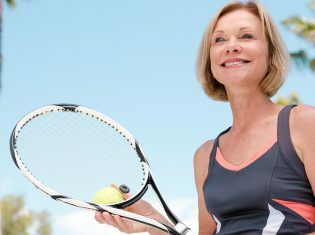 There are tennis lessons and drills for adults and juniors, including Dartfish Video Analysis for improved game play; swimming lessons and water safety classes; and personal training for one-on-one attention. Speaking of fitness, we have cardio and strength training machines that will fire up any workout, with equipment like treadmills, arc trainers, rowers, bikes -- and free weights, Free Motion, Techno Gym, Smith machines, and lifting platforms. Functional training offers TRX, battle ropes, kettlebells, and more for a full body workout. Group exercise includes spinning, Zumba, and Les Mills classes like BODYCOMBAT, and BODYPUMP. Need to take it down a notch? Then try a group class like Vinyasa Flow, Yin Yoga, Hot Yoga, or Pilates and Gravity reformers barre in our Mind & Body Studio -- or learn the principles and technique of ballet for a graceful yet powerful workout. The Falls provides small group training, Dotfit online nutrition, and more for the ultimate fitness experience. Experience The Falls today -- and you'll see why we're the best health club in Lubbock! 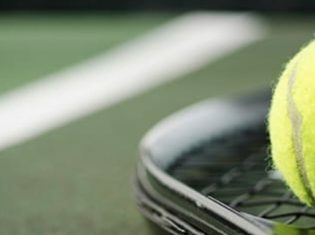 Whether you’re a tennis beginner or a pro, The Falls Tennis & Athletic Club is equipped to take your game play to the next level! Our professional tennis staff welcomes every age to private and group lessons, drills, camps, and clinics. And with both indoor and outdoor courts, you can play regardless of the weather! Our tennis club in Lubbock also offers social events and league play all year. Our health club in Lubbock is all about fitness! Workout on our cardio equipment, strength machines, and free weights — or super-charge your energy with group exercise. Exclusive to our Lubbock gym is the Gravity Training System, a small group training program that uses body weight to improve strength and performance. Prefer the outdoors? We offer tennis and swimming too! Group classes at our Lubbock health club are beyond description; try one and experience the difference! Our Studio Classes range from core building Tabata and calorie burning cardio — to restorative and relaxing yoga and low impact aqua exercise. Indoors or out, there’s a group class just right for you. Feel stronger, more energetic, and ready to meet every challenge! We take the worry out of your workout! Our Kids Club ensures that your children are safely having fun while you’re exercising at our Lubbock health club. Little ones from 6 weeks to 12 years are welcome to enjoy age appropriate games and activities. 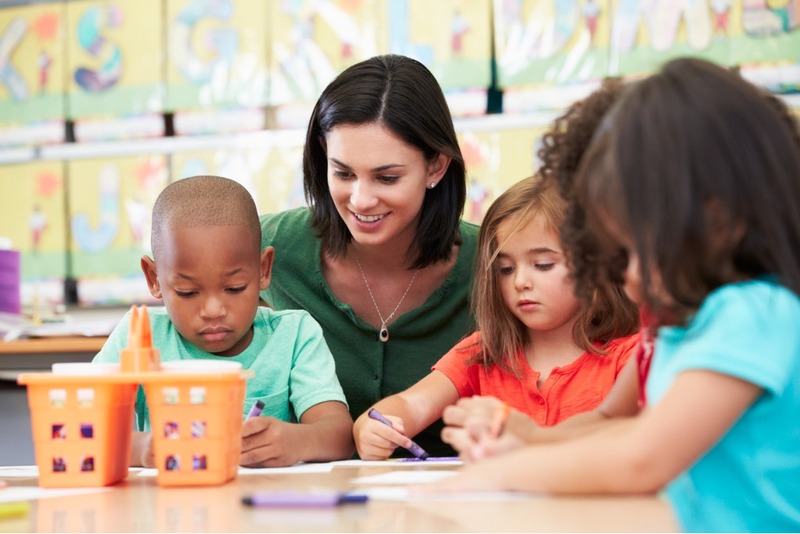 Ask about our membership options that include onsite childcare. Swim laps, take swimming lessons, participate in aquatics group fitness, or just relax in the warmth of the heated outdoor pool at our Lubbock fitness center! Besides water fun for adults and little swimmers, we also offer events, like game and movie nights — and Bash Riprock’s for a great selection of poolside food and drinks. From pool parties and cabana rentals, join us for a splashing good time! New members at The Falls Tennis & Athletic Club receive a complimentary personal training session. Discover your fitness level and develop a road map for the most effective workout at our Lubbock gym. Personal training sessions that provide focused attention are also available for members. Start your fitness journey or mix it up and break through that plateau with personal training! Party in Pink for Emily! Build Your own team and register now!